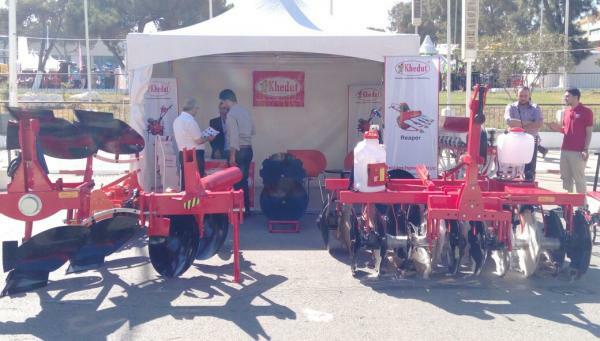 It was one of the great opportunity for Khedut Agro Engineering to showcase their product and make world aware about their presence in International Market. It was a platform given by one of the biggest Agriculture show ISRMAX ASIA which was held in Bangkok, Thailand. Agriculture is the prime source of wealth in Bihar and is the key to the overall development of the state economy. Lot of initiatives are taken by the state government to promote farm mechanization in Bihar. Agro Bihar 2015 was an ideal platform for the show casing modern agriculture machinery and equipments. Khedut Agro Engineering grapped the opportunity with their presence in the show. It is another such initiative given by the Indo African Chamber of Commerce & Industry to strengthen the business relationships between India and Africa. The main motive of this exhibition is to target new Investment opportunities with Africa. Khedut Agro Engineering also participated in this trade exhibition to strengthen their relationship with African Business Delegates. Kishan Mela is one of the India's largest Agriculture Show held every year. Khedut presence was also there with a awesome product show stall. Many farmers from different part of the India as well as from world were the witness of the Kishan Mela. 7th Vibrant Gujarat Summit the global business hub held at capital city of Gujarat. A business platform showcasing 25+ sectors and participation from more than 100 countries. Khedut Presence was also witnessed there with a awesome product show stall. Saurashtra Vepar Udyog Mahamandal (SVUM) is organizing an International Trade Show which is supported by Ministry of MSME, Govt. of India & iNDEXTb. The main motive of this trade show is to boost the Growth of industries of Saurashtra and showcasing the strengths of industries across the globe. It is another great opportunity for Khedut Agro Engineering for showcase their products & make aware about farm mechanization.